just like the first portal, this is near-perfect game design. and just like the first portal, while i can't say i particularly loved any aspect of it, i still enjoyed it a lot. A solid but inconsistent game that has some very good mechanics, even all these years later. The problem is that it doesn't seem at that well thought-out in the big-picture sense. No checkpoints or autosaves make this a frustrating game to replay and at the end it veers into 3D platformer territory when it does not have the mechanics to carry it. The puzzles, however, are quite well-considered though, and help make up some of the difference. The game design, AI, graphics and sound were all completely brilliant for their time. Now there's an endless stream of add ons. 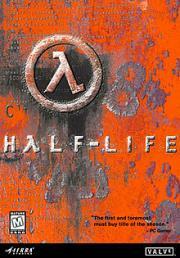 follow ups, imitators and new games either utilising the Half-Life engine in some respects, or taking their inspiration directly from it. That's quite a legacy.